I still can’t decide what I liked most about this book : the way it was written, the humor deriving mostly from the characters and the situations or the story itself, but the truth is that this is a one of a kind book, that has every ingredient to simply fall in love with it. 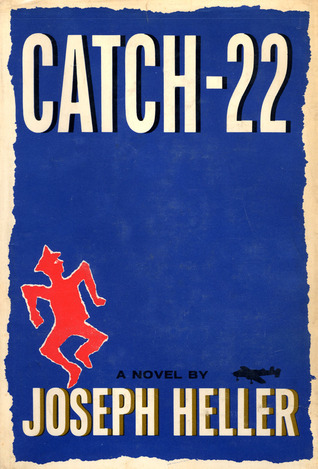 It tells the story of Yossarian, a malingering bombardier, trying to escape the Second World War and return to America, but unfortunately, even if he keeps saying that he is sick, even if he refuses to go on a mission, he still can’t manage to achieve his purpose, until the end when he realizes that he is the only one setting boundaries in succeeding. It’s a book about stupid people who lead us and only care about their personal interest, about the fact that most of the times we just accept things and take them as they are without analyzing and deciding if they are good for us, about clichés, about labels we put to one another and about favoring some in prejudice of the others.